After seeing the trees growing under his eyes every day and dealing with the sorrow of having some of them die due to the harsh conditions in the area, Ma Sanxiao got so attached to his small forest that decided he couldn’t sell them, choosing instead to plant them for the benefit of others. Ma gets up at 5am every morning, puts on some clothes, grabs his rudimentary tools and tree saplings and uses his crutches to reach the hills. He doesn’t even eat breakfast in order to save time, choosing instead to pack his meal and eat it during one of his short breaks. He uses work gloves and a shovel to dig small holes in the ground, then plants tree saplings and crawls to an inlet nearby to water them. It’s not the easiest work for a double amputee, and the 70-year-old admits that he has suffered more falls and injuries than he can remember. The double-amputee’s life changed in 2008 when Chinese media covered his story and volunteers started showing up to help him. The Chinese government also acknowledged his contribution to society and started offering him financial assistance. He could have just stopped them, as there were other able-bodied people more than willing to continue his work, but planting trees was what made him happy, so he kept doing it every day. 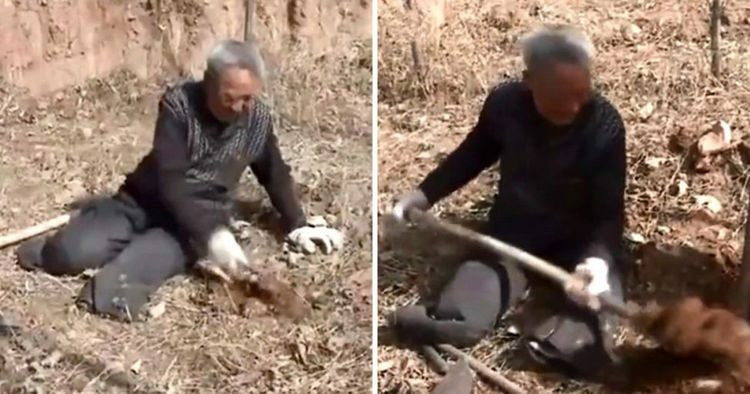 For the last 19 years, Ma Sanxiao has spent almost every day in the wilderness of the Taihang Mountain Range planting trees, and he now has a roughly 17,000-tree forest to show for it. Despite pleas from his family to take it easy and spend more time at home, he continues to expand his forest every day. Ma Sanxiao’s inspiring story is reminiscent of other incredible tales of people who have dedicated their lives to nature. The achievements of “Forest Man” Jadav Payeng, who single-handedly planted a 550-hectare forest, have inspired a documentary, and the story of Anil and Pamela Malhotra, a couple who turned 55 acres of unused farmland into a sanctuary that consists of hundreds of endangered plants, animals and birds, has inspired environmentalists around the world. And who could forget Abdul Samad Sheikh, the “Forest Man of Bangladesh” who planted at least one tree a day, for most of his life, or Antonio Vicente, the Brazilian who spent the last four decades of his life restoring a forest that had been razed for cattle grazing.